Okay, so the time of the year is here again where you try to dodge your overly concerned relatives’ questions of when you are going to get married and have kids. The light and refreshing yuzu is well balanced, not too overpowering, but yet not overshadowed by the pineapple taste. 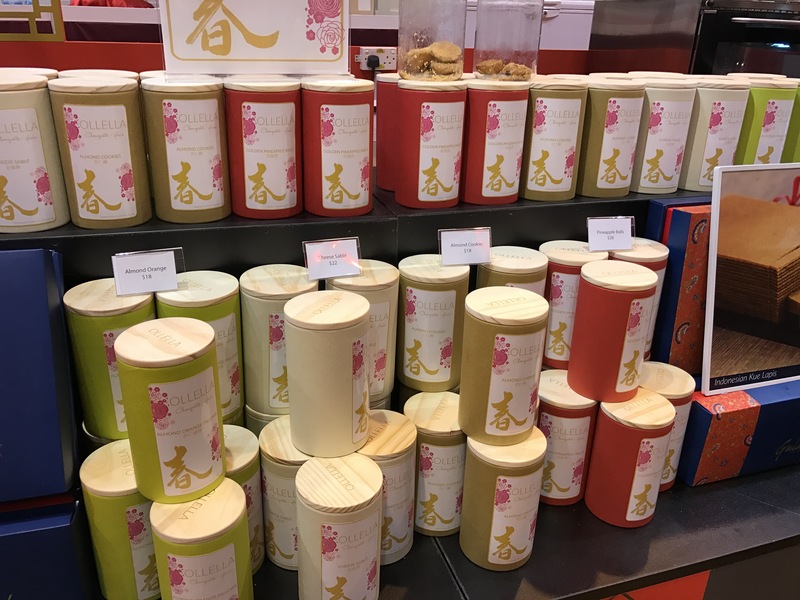 Lychee cookies are not new in the market, but having tried some other lychee cookies at the fair, Peony Jade’s one came out tops for me. The sea salt can get a little subtle and non obvious unless someone points it out to you, but once you get the hang of it there’s no stopping! 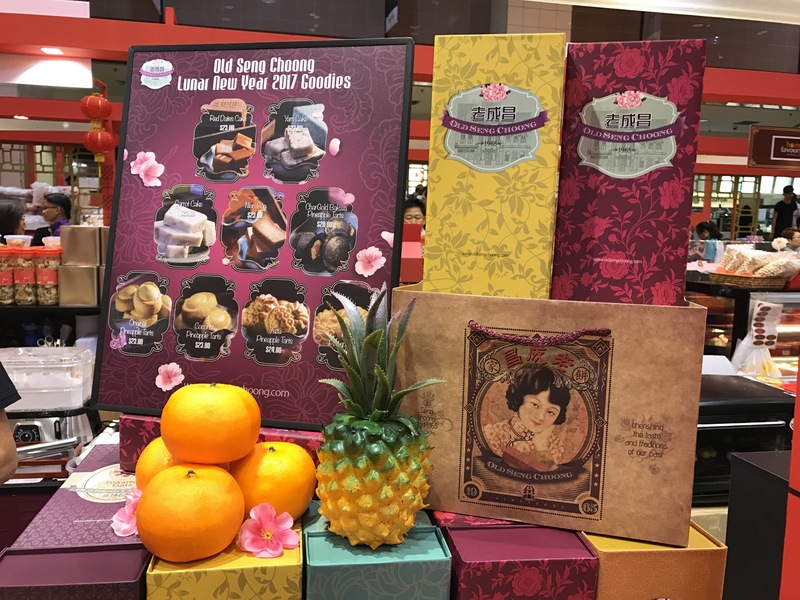 No surprises from Cookie Museum, which is know to always experiment with their cookie flavours. 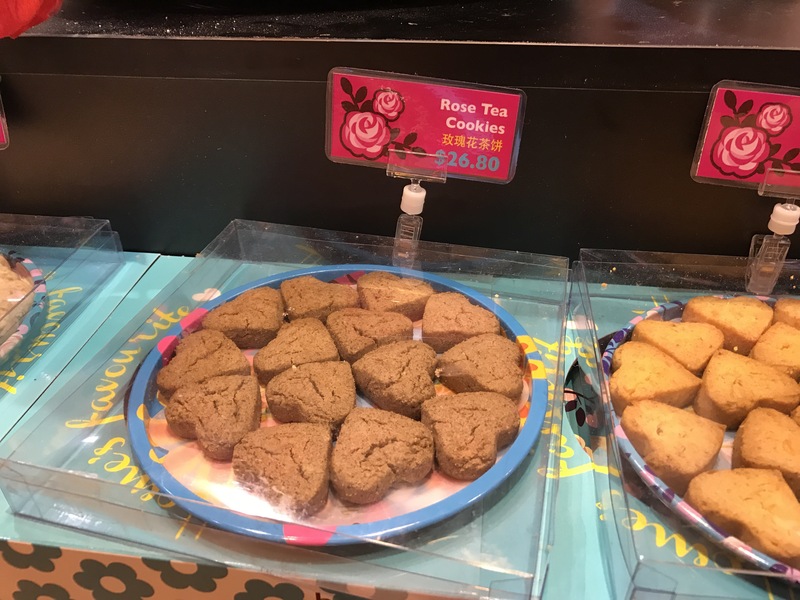 The unique thing about this cookie is that there’s a dried shrimp on each and every piece of cookie. Presentation is gold. For the tea loving party people out there. Ollella is well known for their pastries, but their Almond Orange didn’t disappoint. Plus point for the simple yet moden packaging. While you’re there, do try their Kueh Lapis as well. 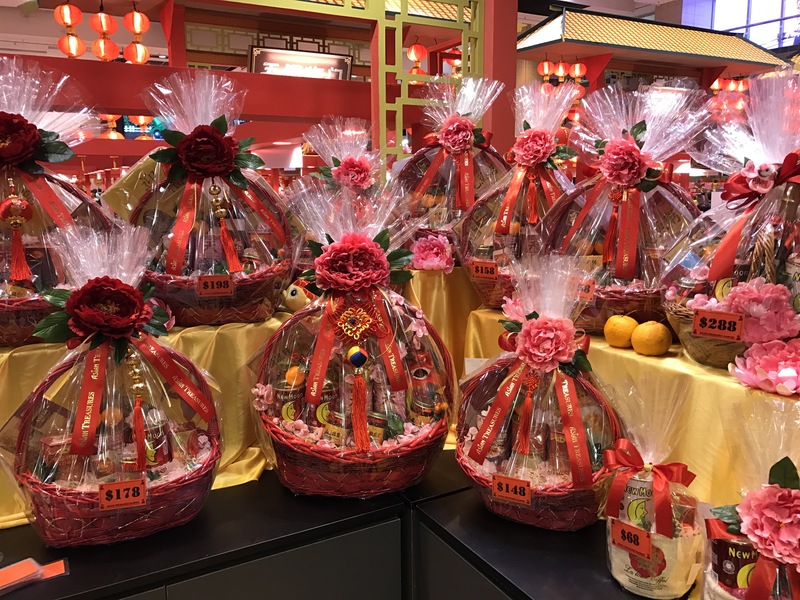 Asian Treasures specialises in hampers and the only do this once a year, at Takashimaya. 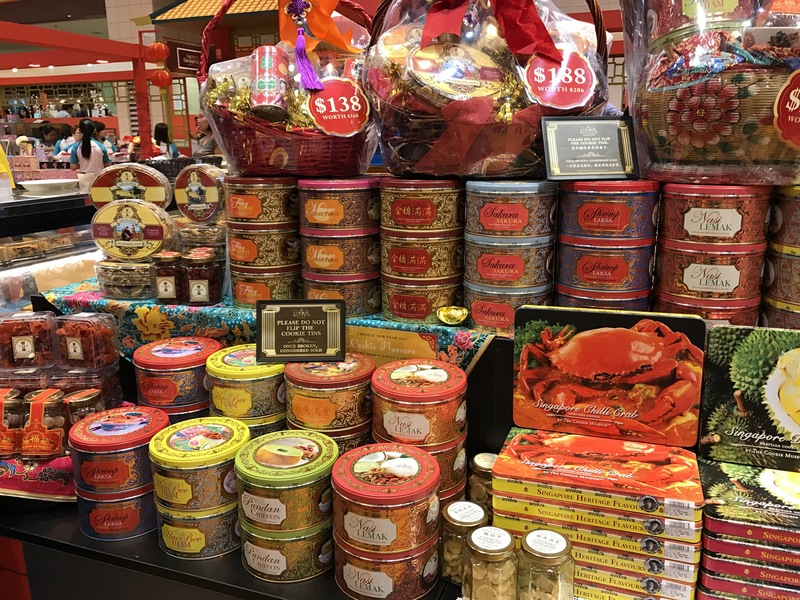 All hampers consist of at least a can of abalone, coupled with various premium items such as Buddha Jump Over the Wall, dried scallops, dried mushrooms, etc. 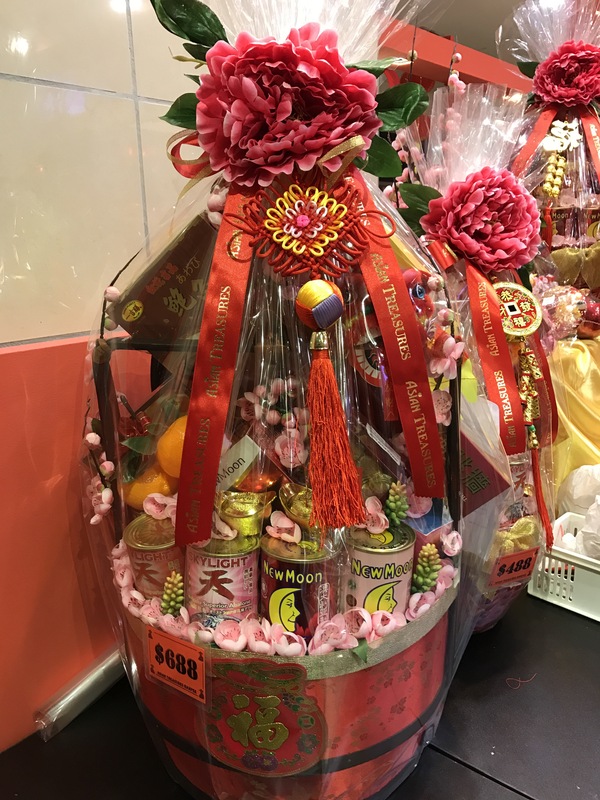 Bound to make all mothers happy and definitely a conversation starter, these highly decorative and auspicious looking hampers are also a great gift for businesses. 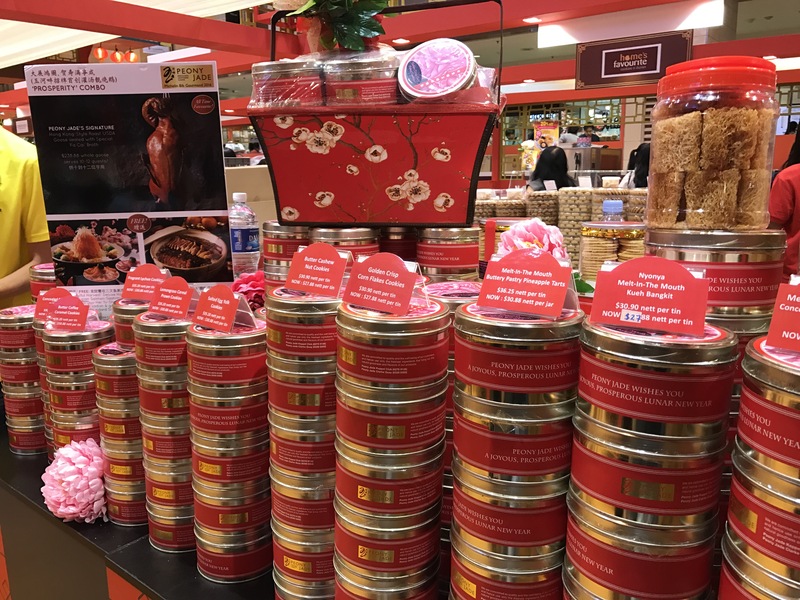 Talking about abalones, besides the usual Australia and New Zealand big abalones,﻿ Asian Treasures also carry Golden Amidori abalones – mixture of Japan and Taiwan baby abalones. Imagine serving your guests with one whole baby abalone each! 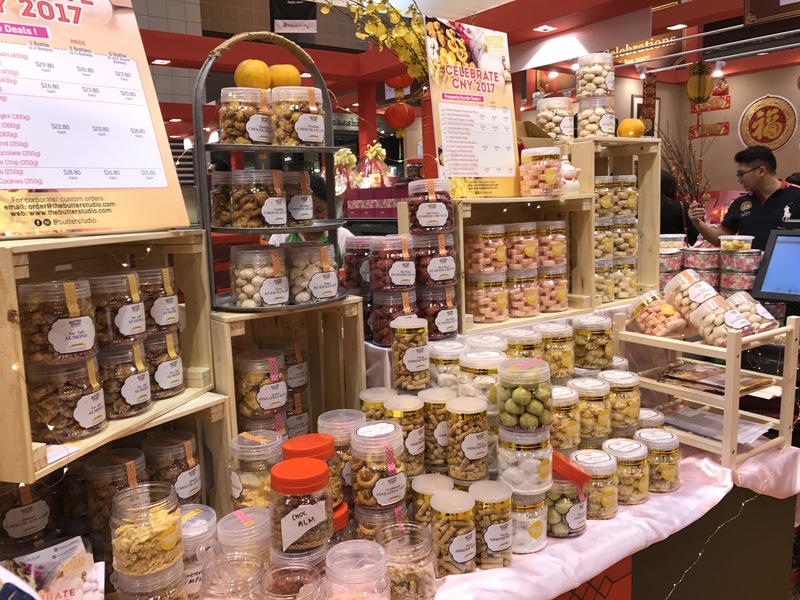 The CNY fair is now on at Takashimaya Square, B2, from now till 26 Jan 17.